A few days ago we wrote about a new Smartwatch from NO.1 called NO.1 G4. Now G4 Smartwatch is available in several well known online stores for $39.99. 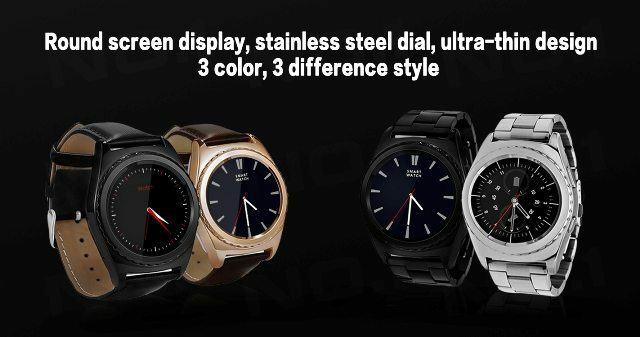 NO.1 G4 Smartwatch find in Presale on Coolicool, Geekbuying ($49.09) and in a flash sale on Gearbest for $39.99. On Coolicool and Geekbuying shipping from 30/04/2016 on Gearbest shipping from 25/04/2016. As you can see in the photos and marketing materials NO.1 brand, designed aesthetically and nice looking smartwatch with a complete round dial clock. Noteworthy is also the attractive price of $39.99 which receive smartwatch with a large amount of features such as pedometer, sedentary reminder, sleep monitoring, watch faces,3D touch, heart rate monitor and more. So we have a nice design and a lot of functions which should have good quality smartwatch, and all this for only $39.99. We do not know how you, but we think it will be a hit sales. The NO.1 G4 is a round smartwatch equipped with MediaTek MT6261 chipset. G4 smartwatch is available in black, silver and gold watch with a black and brown belt or also stainless steel bracelet. 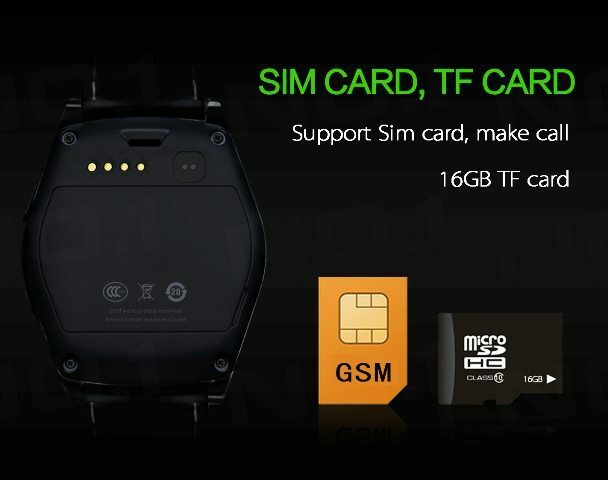 Smartwatch will support SIM card for phone calls and 16GB microSD card for data. Version A: Chinese, traditional Chinese, English, Japanese, Korean. Version B: English, Chinese, German, Spanish, Italian, French, Portuguese (Portugal), Portuguese (Brazil), Russian, Turkey. Version C: English, Chinese, Indonesia, Malaysia, Poland, Vietnam, Hebrew, Arabic, Persian, Thai, Myanmar. Here are a few marketing materials.